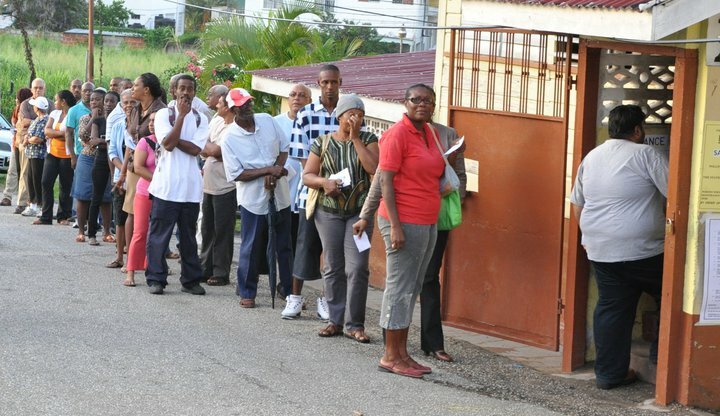 Several Trinidadian and Tobagonians could be observed at the polls today after five weeks of long hard fought political campaign. From the 41 constituencies there are a total of 99 candidates, representing two major political groupings-the People’s National Movement (PNM) and the People’s Partnership, consisting mainly of the United National Congress (UNC) and the Congress of the People (COP). Also contesting are the New National Vision (NNV), which is fighting 12 seats) and six independent candidates. 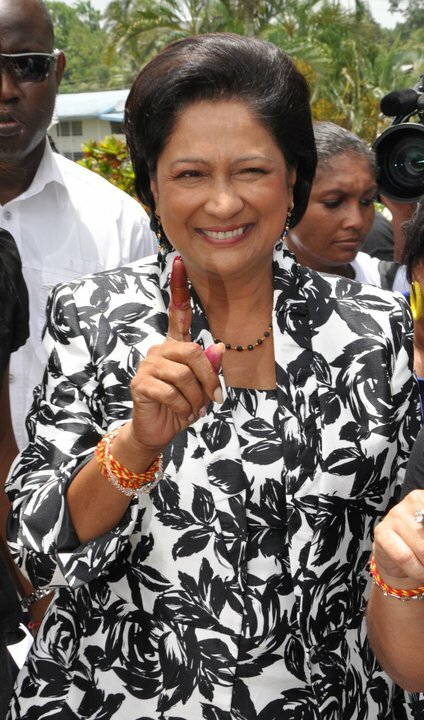 This election is the most unique for the twin Caribbean island Republic as it marks the first time that a major political force in the election (the People’s Partnership) is being led by a woman, in that of Kamla Persad-Bissessar. Many think Trinidadians and Tobagonians believe that the tough talk Opposition Leader Persad-Bissessar has a real chance of creating hsitory in the Republic by becoming the first woman Prime Minister of Trinidad and Tobago. Preliminary analysis have so far noted that this election has seen the most young people turning out to vote that in recent times. Voting which starts this morning at 6 a.m. is expected to come to a close at 6 p.m. this evening. Please observe scenes from the election today in the twin island Republic of Trinidad & Tobago. 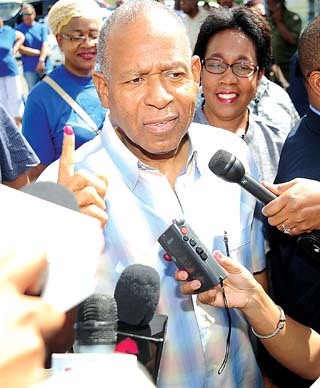 Current Leader of the PNM in Trinidad Patrick Manning after casting his ballot. 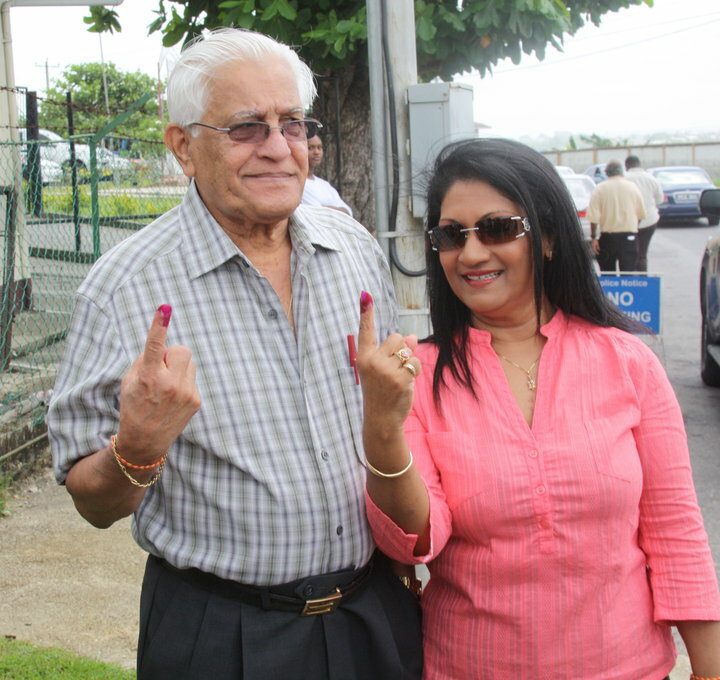 Former political leader of the UNC Basdeo Panday and wife Oma after casting their votes at the Caanan Presbyterian School, La Romaine show off their stained fingers. 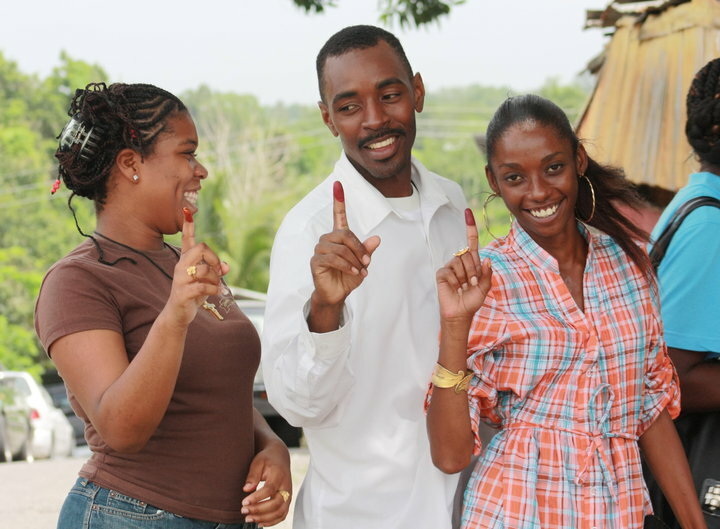 Some residents of Fyzabad show there stained fingers from today's election day in Triniadad & Tobabgo. 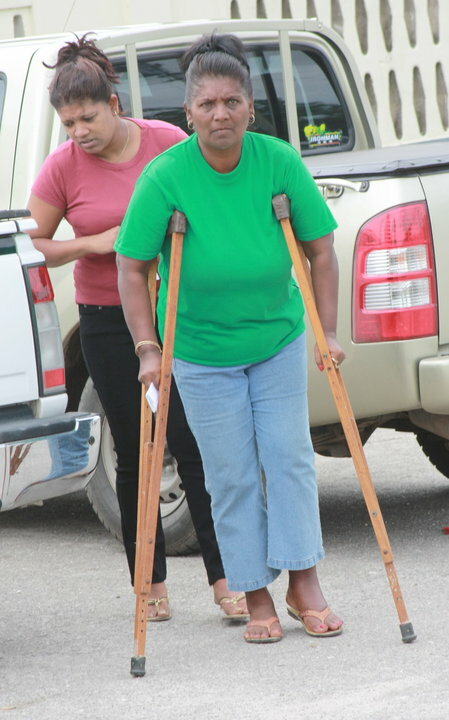 A resident of Fyzabab on her way to the poll, she made it clear nothing would restrained her. 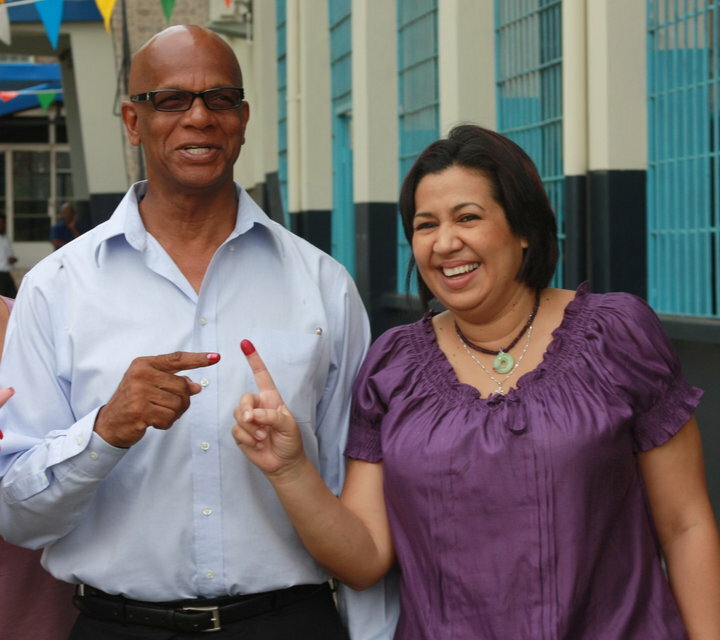 (Photo Source: Trinidad Guardian) Candidate for San Fernando West, Junia Regrello and wife Kamla vote at Presentation College, Carib Street, San Fernando, here the couple show their stained fingers. A long line of Voters at the Marabella Boys AC School in the Constituency of San Fernando West.